It’s FREE STUFF FRIDAY, and our good friends at Diamond Select Toys have hooked us up with some really fun promotional goodies to help in our recent celebration of the 30th Anniversary of ‘Back to the Future’. 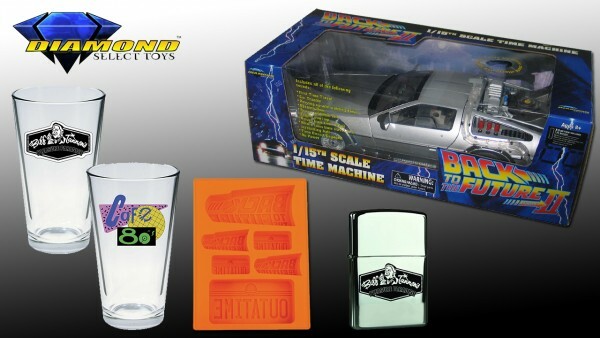 This awesome prize pack includes a Back to the Future 1:15 Time Machine 1/15th scale replica, a Back to the Future 2 Biff Tannen’s Pleasure Paradise Zippo Lighter, a Back to the Future 2 Biff Tannen’s Pleasure Paradise Pint Glass, a Back to the Future 2 Cafe ’80s Logo Pint Glass and a Back to the Future Silicone Tray. Yeah, we know, “This is Heavy!” so, click ahead to check out our trivia question and best of luck! Check out the great prizes being offered this week, then scroll down for our ‘Back to the Future’ themed trivia question for your chance to win!!! 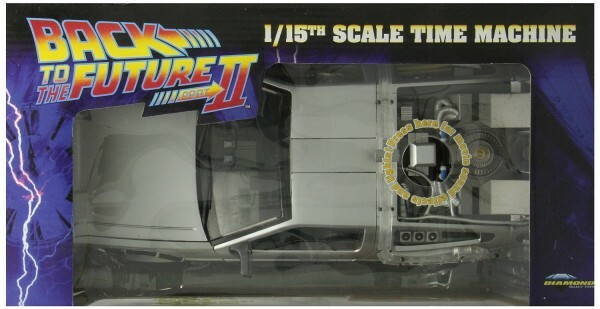 Journey through time and space with style, thanks to this 1/15th scale replica featuring the iconic time machine from Back to the Future! Measuring 14 inches long and featuring working light and sound effects from the classic film franchise, this landmark release includes fully-detailed moving parts – just keep it under 88 miles per hour! The Zippo lighter is one of the most distinctive lighters ever made, and we can imagine this all-new Zippo design being sold in Biff Tannen’s hotel and casino, located in the heart of Hill Valley. 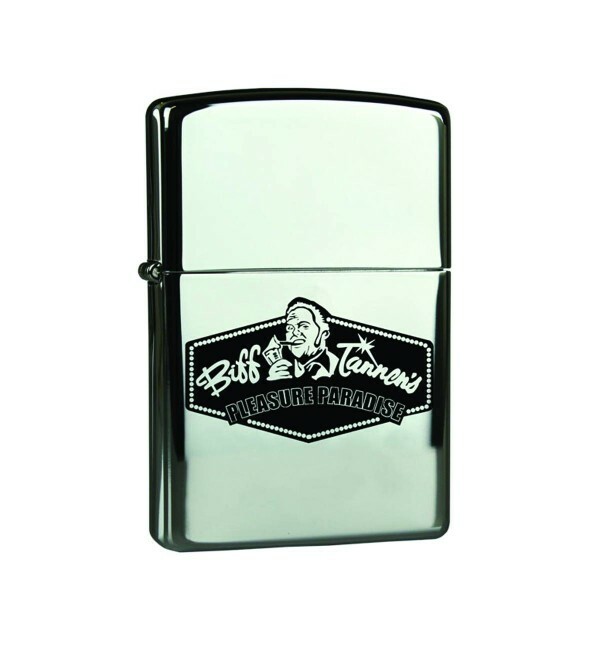 Flip open this metal Zippo lighter sporting the Pleasure Paradise logo, and it’s sure to warm the dampest spirits. Comes packaged in a full-color collector case. Raise a glass to America’s greatest folk hero with the latest glass in the Glasses to Go line! 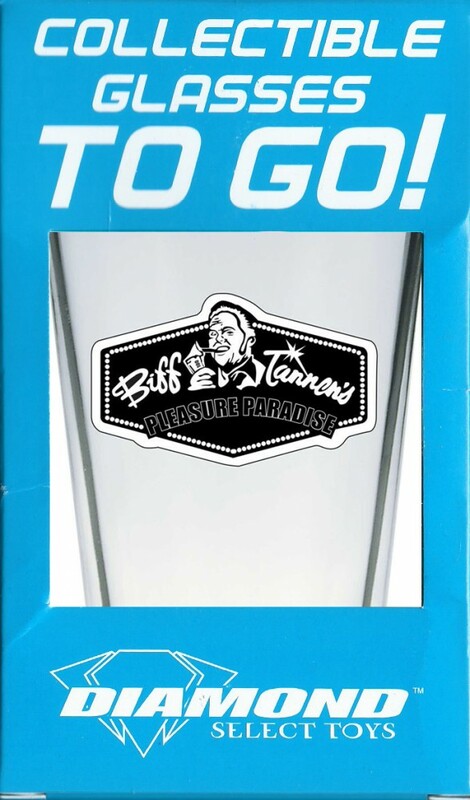 Inspired by the world of Back to the Future Part II, this pint glass bears the logo of Biff Tannen’s Pleasure Paradise, the den of iniquity seen in the corrupted version of 1985. Forget your troubles (and your alternate futures) with a drink at Biff’s! Remember the 1980s? The Back to the Future movies may have given us an unrealistic vision of the future, but one thing they got right was the love for everything 1980s! 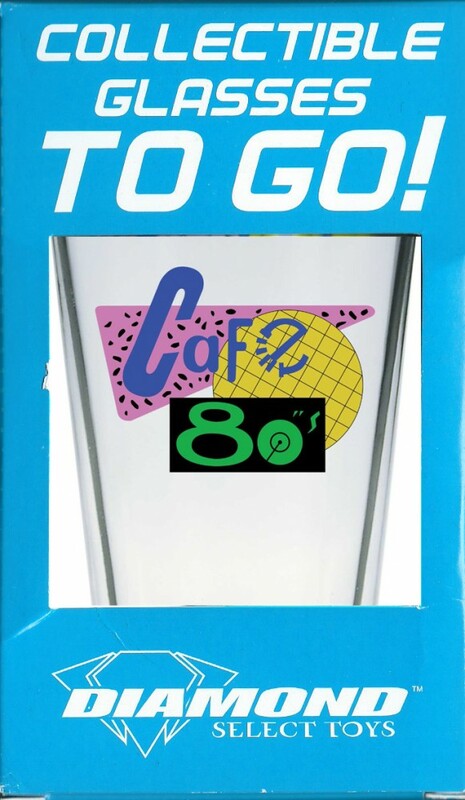 This pint glass is adorned with the logo of Cafe ’80s, the theme restaurant visited by Marty McFly in 2015. 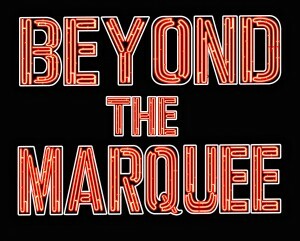 Remember the 1980s (and the Back to the Future films!) 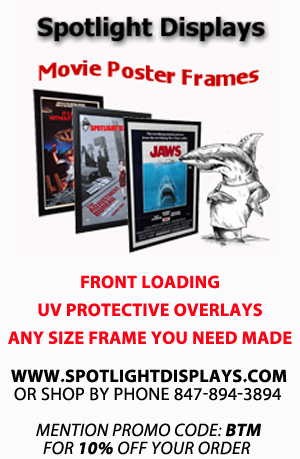 with this nostalgic addition to DST’s Reelware line! Planning on making a scientific breakthrough? Breaking the time barrier? Asking your mom to the school dance? Then why not celebrate with a cool drink using your own Back to the Future ice cubes! This silicone rubber tray features various sized molds of the BTTF logo and the OUTATIME license plate, and can be used to make ice and chocolate! IN THE ABOVE VIDEO, ACTOR JEFFREY WEISSMAN MENTIONS THAT HE’D COME TO THE BACK TO THE FUTURE PART II SET AND UNDERGO HOW MANY HOURS OF MAKE-UP TO BE TURNED INTO HIS CHARACTER OF GEORGE MCFLY? RULES: The contest begins at 9:00AM on November 6th 2015 and ends at Noon on Nov 9th, 2015. Contest open to all US residents of all ages. Void where prohibited. Odds of winning depend upon the number of participants. 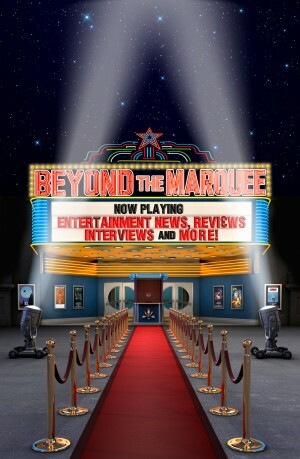 Not eligible for employees, family, friends or promotional partners connected or associated with Diamond Select Toys or Beyond the Marquee. No purchase necessary. Only one (1) entry per person. Only one (1) entry per person per valid e-mail address and limit one (1) prize per household for the Contest for any thirty (30) day period. Odds of winning depend upon the number of participants. 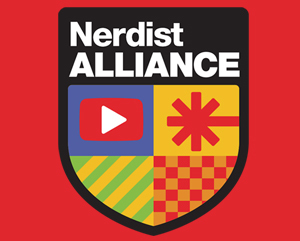 Participants and winner(s) must be U.S. residents and at least 18-years old. If you have won the same prize on another site, you will not be eligible to win it again. Winner is subject to eligibility verification. The prize will be sent via FedEx or USPS. No P.O. Boxes please. Entries will be randomly selected and the winners will be announced the week of Nov 9th, 2015, on our official Facebook page. Don’t forget to “Like” us! Good Luck! Thanks again to our friends with Diamond Select Toys for these great prize offerings this week! It’s so awesome! Oh wait! It’s just for americans..